What to do for a three year old? So my grandson turns three this week. 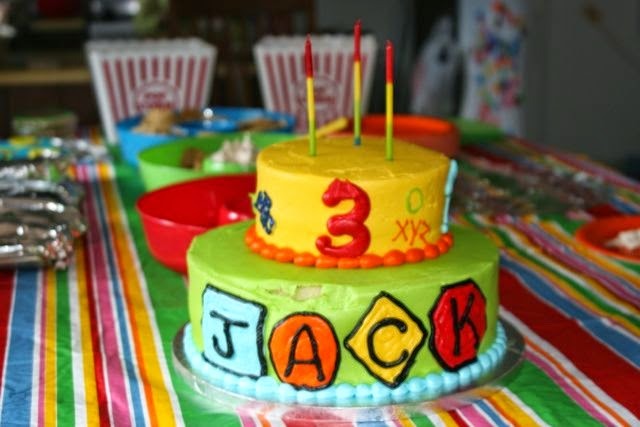 It is imperative for all kids to have cake on their birthday. At least in my humble opinion it is imperative. Our grandson, like all grandchildren, is the brightest kid that turned three ever. The cake you see above was really good, and was purchased from a major retail chain. I have no sponsors, so there will be no mention of the name. 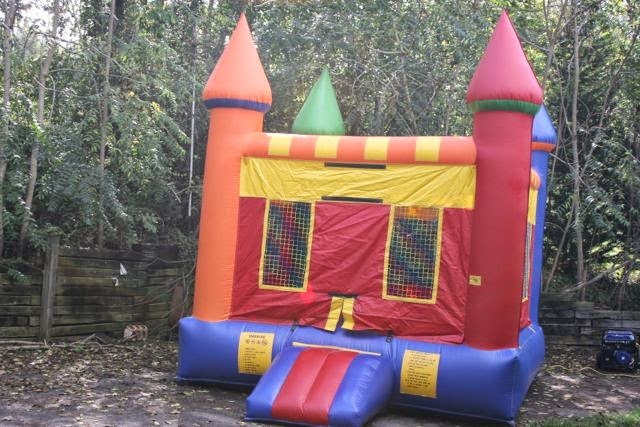 The suggestion to get a bounce house for a three year old's birthday party seemed ridiculous to me at first. I have to admit I was wrong. This baby provided entertainment for all the kids that lasted for several hours. We only had one crash during the entire event. We did have a baby cry for a little while. Apparently he was not impressed by the flying bodies in the house. The other great event from the party was the gift opening ceremony. My grandson never wants to tear the paper off the package. I don't know where he gets that from. So he carefully tries to remove the tape. Observing this behavior is great. Because everyone else wants to help him open it to see what he got. For our grandson, he opened the first gift, and was done. He immediately began paying with it and we could not get him to open the remaining gifts. So Mom had to do it, and who him the gifts. This was to not offend the other parents and guests. We had a great time with the family. Again, Grandchildren our great.